Which U.S. State Has The Lowest Statewide Speed Limit? The First Fast-Food Chain In The United States Was? If you’ve got a hankering for the open road, the wind in your hair, and high speeds that leave your fellow travelers in the dust, you might want to avoid planning your next wild road trip for Hawaii. If you’re looking for the highest speed limits on the other hand, head over to Texas. 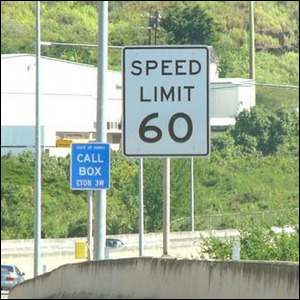 Per Texan law, speeds are not set across the entire state but by regional regulations such that the highway speed limit in Texas ranges from as low as 65 MPH all the way up to 85 MPH.